One of the most important aspects of image quality testing is ensuring your reflective test chart or test scene has proper illumination. Many labs only have standard light sources that are unable to create a wide range of lighting situations. The iQ-Flatlight solves this issue by using iQ-LED technology. 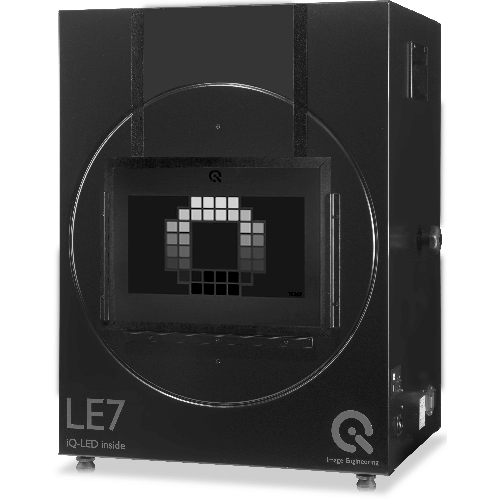 iQ-LED V2 technology is a light source that is capable of generating custom spectra to replicate various light sources in a test lab environment. 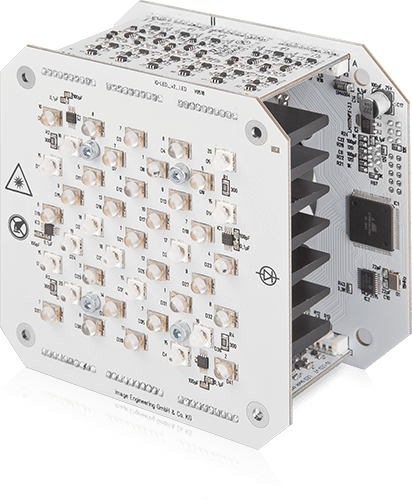 As with our other iQ-LED products, the iQ-Flatlight uses 20 LED-channels to emulate almost any light spectrum for your camera testing. Each light contains ten individual iQ-LED V2 elements that allow for a maximum intensity of 2000 lux per pair on the chart plane and a spectral range of 380 to 820 nm. Three high-quality fluorescent tube lights also come with the light as another option (used separately from the iQ-LED light). With the introduction of iQ-LED V2, it is now possible to control the functionality of the lights without the use of a PC. You can store up to 44 different illuminants, and one sequence on the device (controllable via microswitches on the device itself). 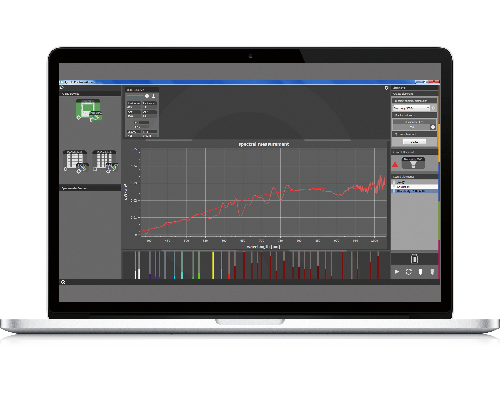 The iQ-Flatlight uses a mini-spectrometer with a spectral range of 350 – 870 nm to ensure better spectral resolution and higher sensitivity. The spectrometer is also able to calibrate the lights. It is also the perfect compliment for VCX testing. 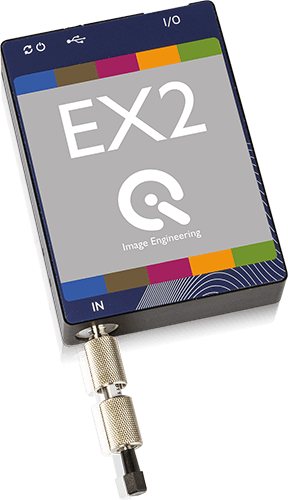 All of the light sources outlined in the VCX white paper can be recreated with the iQ-LED, which allows for more efficient VCX mobile phone testing. 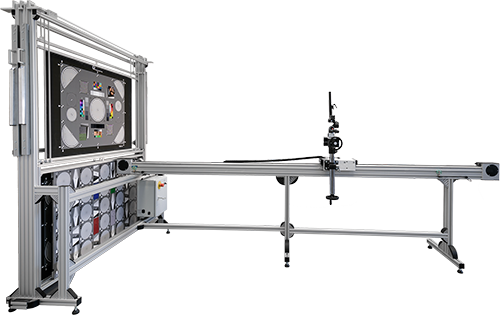 The iQ-Flatlight is always sold as a pair of two and includes iQ-LED control software (which has predefined standard illuminants) and height adjustable rolling cart for each light. 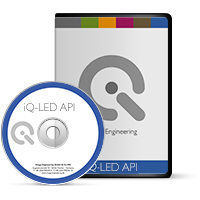 We also offer an iQ-LED API as a separate option.